First Line: The church huddled in a small grove of pine and oak set back from the road at the town's northern edge. Stonewall Jackson Memorial Church in Picketsville, Virginia, seems to be getting more than its usual share of attention. The church has been given a new vicar, the Reverend Blake Fisher, a man once meant for much higher things who's now been exiled in disgrace. It's been the scene of the murder of its organist, Waldo Templeton, and its secretary, Millicent Bass, is the fount of all vicious gossip within the city limits. Will Sheriff Ike Schwartz be able to sift through all the rumors to find a killer? It was simple serendipity that led me to read books in two different series which used the exact same devise: letting a different character be the narrator instead of the main character of the series. In one case, it was very successfully done. 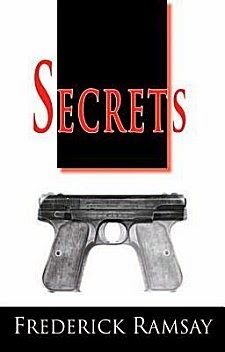 In the case of Secrets, the results are less favorable. Sheriff Ike Schwartz is the heart and soul of this series, and I fell in love with him when I read the very first book, Artscape. I wanted more Ike when I picked up Secrets, and I have to admit that I spent most of the book looking forward to the few times he appeared. It's not that Blake Fisher is a weak character; he most definitely is not, and seeing things through his eyes as he becomes immersed in a murder investigation is interesting. It's also fascinating to see how he reacts to his banishment, and how his attitudes towards the church, the church hierarchy, the parishioners, and his own desires gradually begin to change. His metamorphosis is well and thoughtfully done. The mystery is also a strong one that took me a while to piece together, but I was never able to overcome the paucity of scenes in which Ike Schwartz appeared. As I turned the last page, I was left with the thought that shaking up the point of view was a good idea that should've been done a book or two further along in the series. Never fear though-- I'll be heading back for another visit with Ike. He's too good to ignore! Cathy - Interesting isn't it how point of view/perspective can make all the difference in the world. Still, the plot/premise sound good, and I always give authors extra points for being innovative, even if the result isn't - er - perfect.